Styled for comfort and mobility in 100% Peruvian pima cotton fleece. 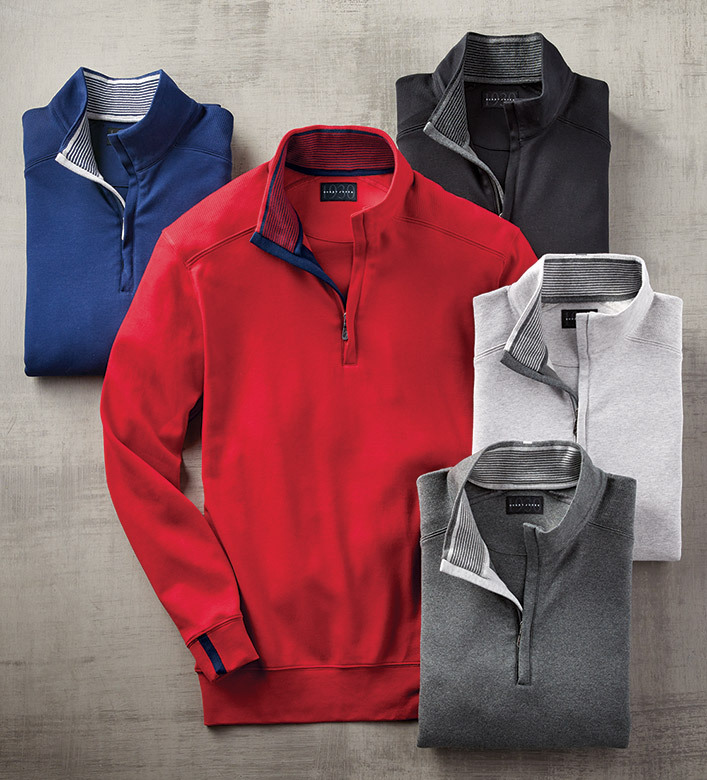 Quarter-zip front, long sleeves, mock neck, brushed interior, ribbed shoulder inserts, band cuffs and waist. Machine wash. Made in Peru. Coordinates with Item #8736 Bobby Jones Executive Sweatpants. Coordinates with Item #8735 Bobby Jones Leaderboard Quarter-Zip Vest.